On Monday the 5th of September 2016, Team Challenge Company had the absolute pleasure of entertaining Cineworld Cinemas with one of our highly competitive ‘Pressure Zone’ events. The guests arrived at the fantastic Pennyhill Park, Balmoral Suite, where they were met by our team accompanied by an assortment of drinks. The guests were then split into two teams in order to go head to head in the aim of winning the prestigious Team Challenge Company Trophy! The two teams competed head to head in a variety of skill based games within the pressure zone arena… Everything is harder in the pressure zone arena! Some of the games which the teams really enjoyed included swap box, a skill based game in which the teams had to swap coloured balls between different coloured containers which required both speed and mental accuracy to complete effectively. Another included Splash where the teams needed a steady hand and excellent accuracy in order to drop a small ping pong ball down a nine foot tube into a an even smaller tube which sure did prove a difficulty for some. Team 1 – “The Winners” were presented with the Team Challenge Company Trophy after managing to extend an edge on their opponents. An excellent and successful event was had by all due to the efforts of Cineworld Cinemas which transcended into an enjoyable evening for Cineworld and Team Challenge Company alike. 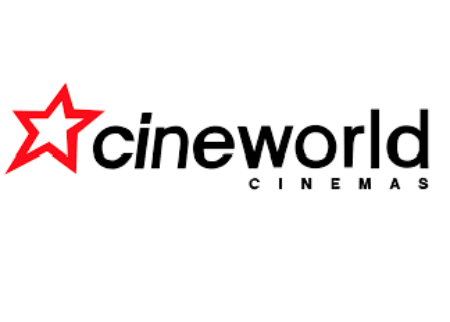 We at Team Challenge Company would like to take this opportunity to thank Cineworld for their efforts on the evening and look forward to working alongside Cineworld in the foreseeable future. What a fantastic time we all had with the team from Cineworld! Thanks so much to Natasha for organising, hopefully see you again.